Ropes are helpful for getting up and down the steep cliff! 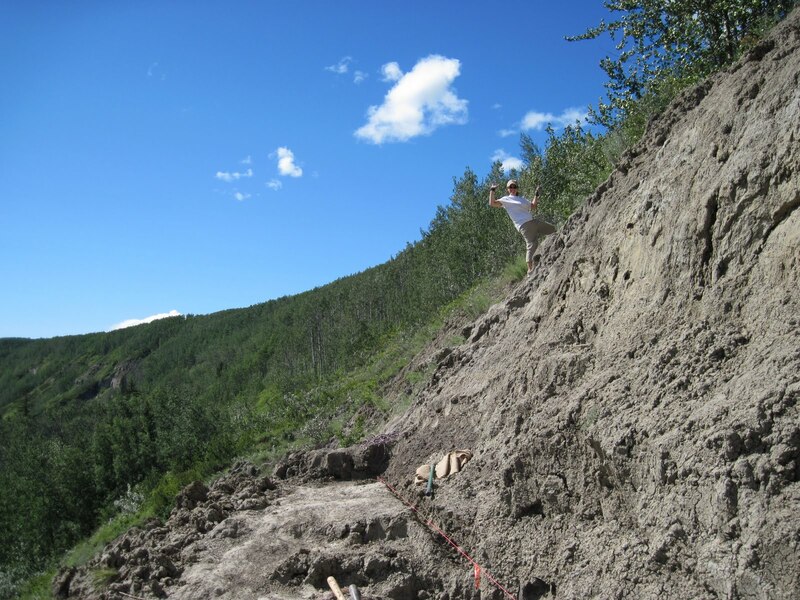 The bonebed includes two distinct preservational types – hard bones that separate well from twisty shaley mudstones, and hard, hard nodules containing mostly skull bones. 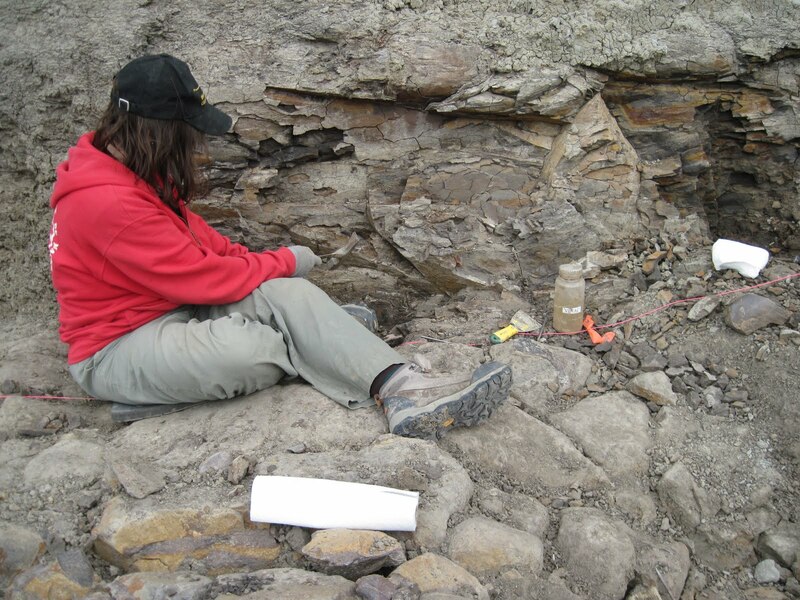 You can see the skull nodules below Angelica, as she works in the mudstone layer. 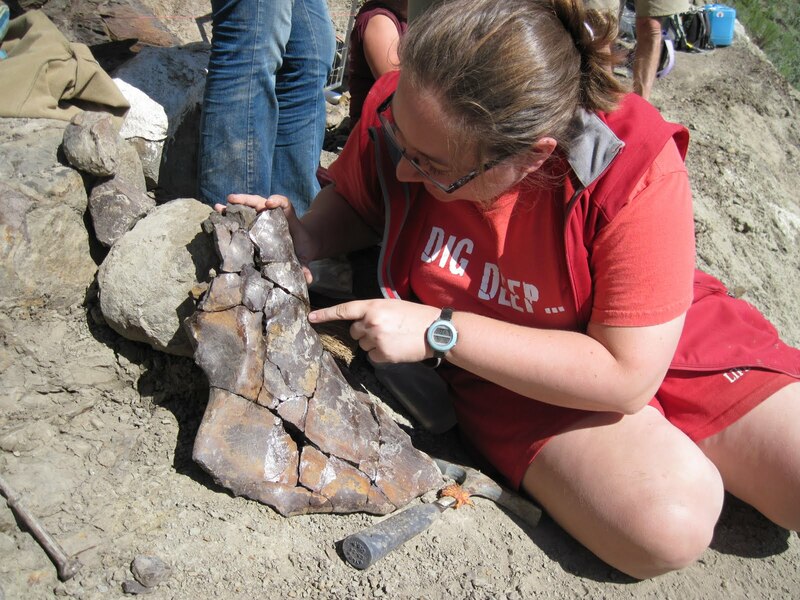 It can be rather goopy in the quarry and the bones are often cracked with mud in between the pieces, so we often map the bone and then remove it completely to clean and glue before we jacket for transport. The bones look quite good once they are clean and put back together! I am pointing at a skull element I found on my first day here. 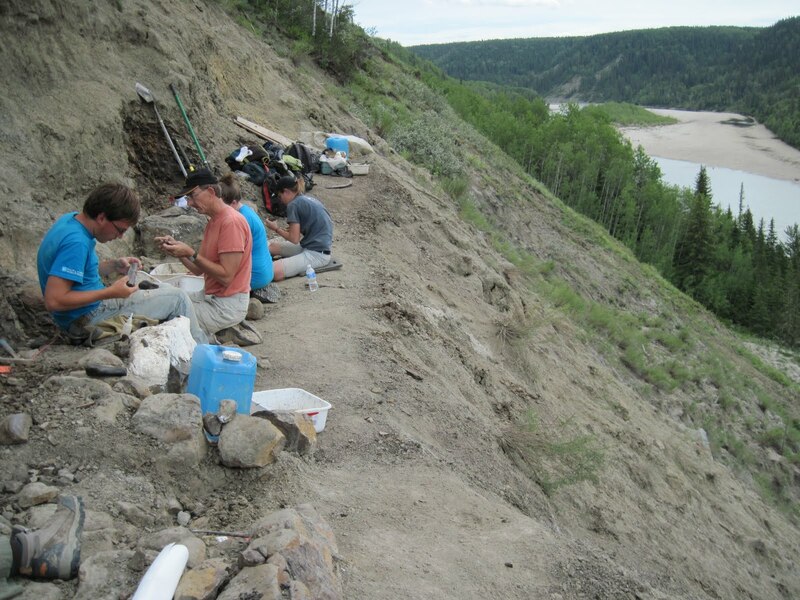 Great photos of the bonebed.